What is the difference between Yaz and Yasmin? Yasmin was approved by the Food and Drug Administration in 2001. Yaz, a similar birth control pill, was approved by the agency in 2006.. Both Yaz and Yasmin contain a combination of the hormones drospirenone and ethinyl estradiol, which are designed to prevent contraception. However, Yaz contains a lower dose of ethinyl estradiol, a form of the hormone estrogen. Is there a generic version of Yaz or Yasmin? In 2008, the FDA approved a generic version of Yasmin known as Ocella. Teva Pharmaceuticals began marketing a generic version of Yaz known as Gianvi in 2011. 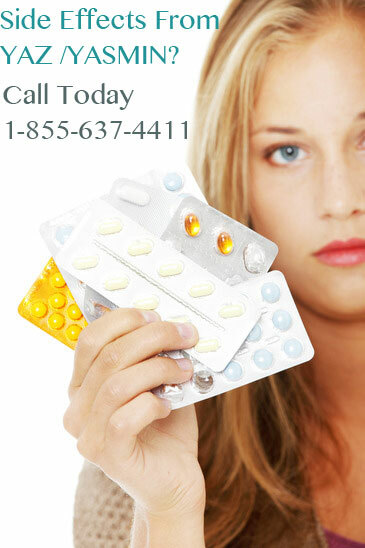 What is the risk of blood clots with Yaz and Yasmin compared to other birth control pills? According to two studies published in the British Medical Journal (BMJ), patients taking Yaz or Yasmin are twice as likely to suffer blood clots as with another popular birth control product. This increased risk of blood clots could place patients in danger of other serious side effects, including heart attacks, strokes, pulmonary embolisms or deep vein thrombosis. Has the FDA issued health warnings about Yaz or Yasmin? In August 2009, the FDA sent a warning letter to Bayer concerning manufacturing violations that could cause unsafe versions of the two drugs to be sold to patients. In October 2008, the agency also sent a warning to Bayer for using “false and misleading” Yaz TV commercials to market the drug to women as a treatment for acne and PMS. Can I use Yaz or Yasmin to treat acne or PMS symptoms? Although Yaz and Yasmin have been prescribed to treat the symptoms of acne and PMS, neither of these birth control pills have been approved by the FDA to treat these conditions. In August 2008, the agency sent a warning letter to Bayer, the manufacturer of Yaz and Yasmin, for using a “false and misleading” Yaz ad campaign which promoted the birth control pill to treat acne and PMS. The letter also faulted Bayer for overstating the effectiveness of Yaz while downplaying the side effects risk of the birth control pills. Are there any plans to recall Yaz or Yasmin? Despite studies linking Yaz and Yasmin to an increased risk of blood clots and numerous warnings from the Food and Drug Administration, there are currently no known plans for a Yasmin or Yaz recall. However, the consumers group Public Citizen has petitioned the FDA to recall the birth control pills due to the increased side effects risk observed among users of birth control pills containing drospirenone. Am I eligible to file a lawsuit over Yaz or Yasmin? If you have used Yaz, Yasmin or Ocella and have suffered side effects—including blood clots and other cardiovascular conditions—you may be eligible to file a lawsuit to receive compensation for your injuries. To speak with an attorney about your legal rights, contact the law firm of Dan Chapman Associates, LLC by calling toll-free at 1-855-637-4411, or by filling out the free case evaluation form to the right of this page.